I recently stumbled upon the beautiful Etsy shop Promised Land Jewelry and I contacted Alyx to see if she wanted to do a little interview for my blog. (Don't you just love finding new Etsy shops?) 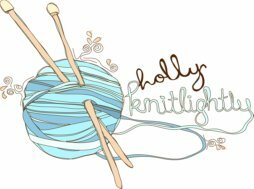 Alyx was kind enough to offer all of my readers a discount in her shop, too! 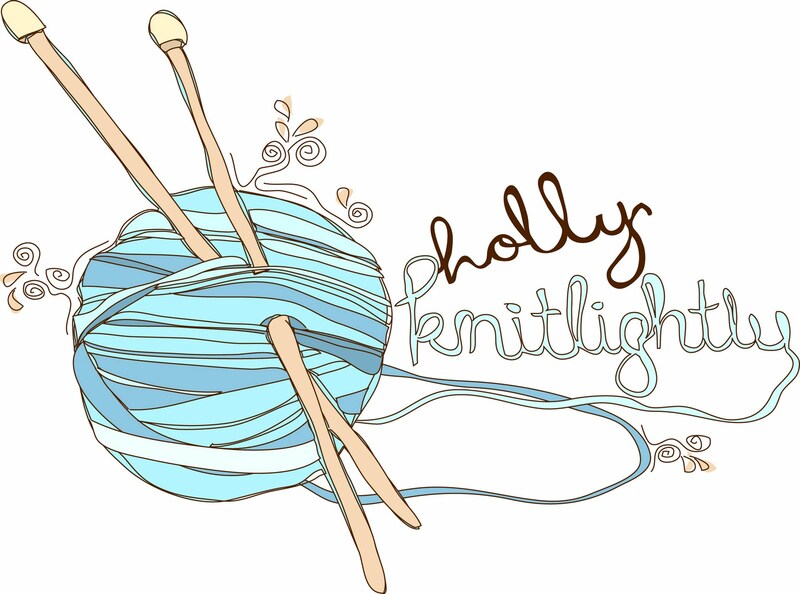 At the checkout enter "KNITLIGHTLY" to receive your discount. Be sure to check out her facebook page, too! What made you interested in making jewelry? I am originally a graphic designer so I am always looking for some sort f creative outlet other than the computer screen. Making jewelry interested me because as an artist, I really love the idea of wearable art! What is your vision for your company? Who do you see wearing your pieces? My vision for my company is pretty organic. My goal is not to necessarily to become commercial someday but to create pieces that look great on and off your body. I want my customers to feel exclusive. 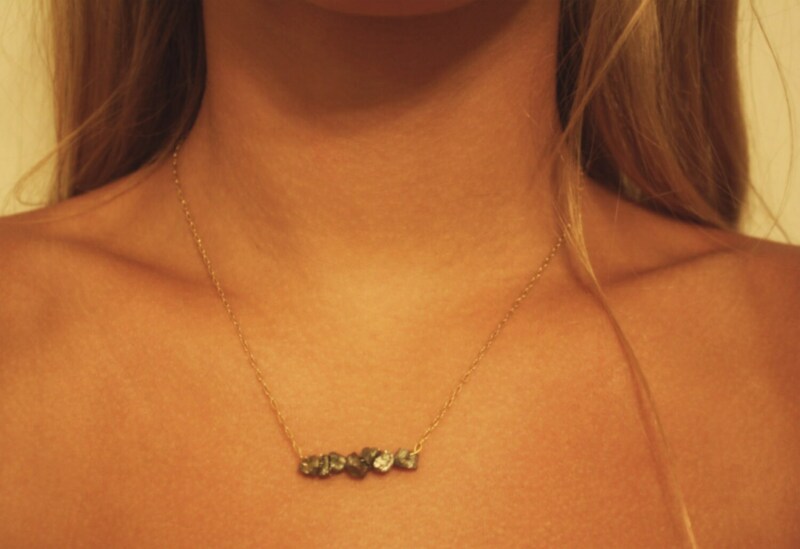 I see people with great taste wearing my pieces, ha! But I do see anyone wearing my pieces. That sound cheesy but it's what I love about PLJ it's not age or style specific. PLJ is simple so you can wear it everyday but looks great layered together or mixed 'n matched in with your other jewelry! How did you learn how to create jewelry? I think I am still learning how to create jewelry. But what I do know I learned from my gorgeous mother, who used to make some fabulous jewels in her day! PLJ is inspired by the desert, easy living, and creativity. My pieces are named after egyptian women, cities, and names. What piece do you wear every day? 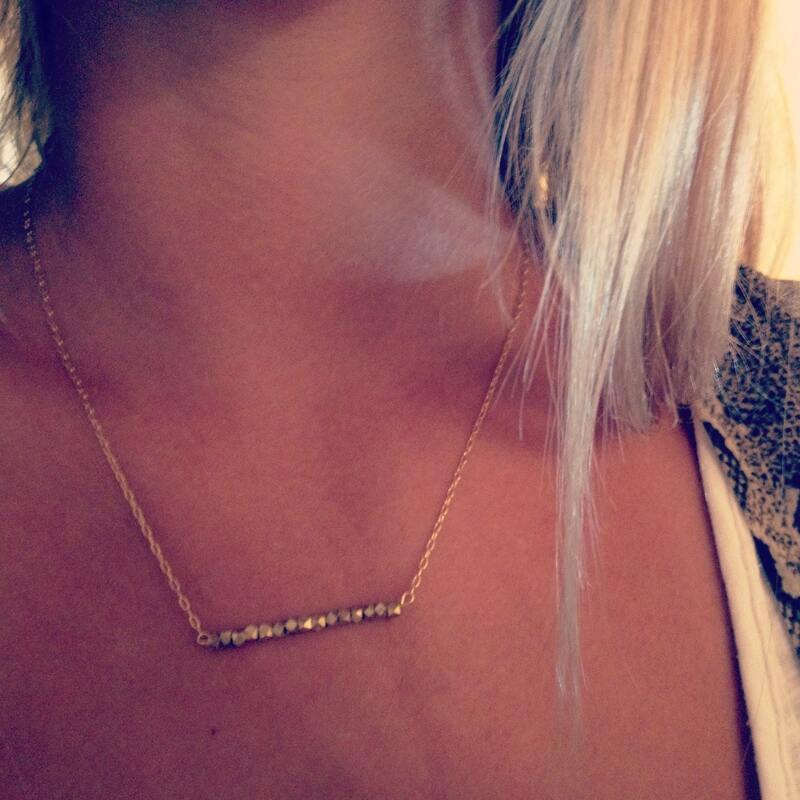 I wear the Oasis Necklace in gold everyday! To me it is, the perfect mix of edgy yet simple style. 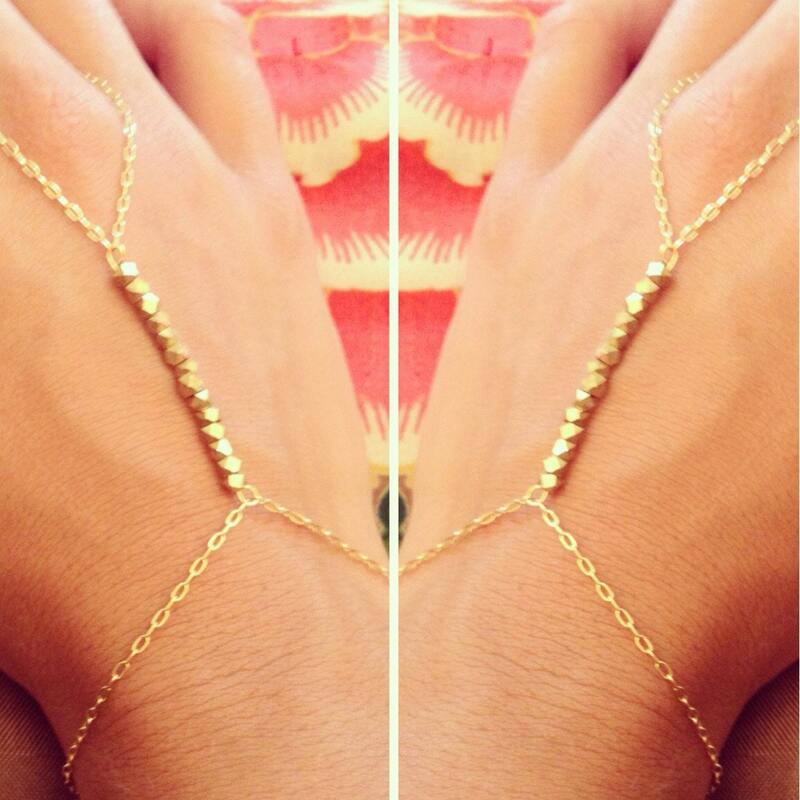 My favourite thing I've ever created is: The Alexandria bracelet in gold. It is so elegant and I would love to see a bride rock it one of these days! My dream day would be: I love to try new things! I am so weird I even hate eating at the same restaurant twice. So for my dream day I think I would want to have a cool new experience, but I know I would want it to involve: my man, some fabulous beach, a new bikini, outside dining, and late night shopping. 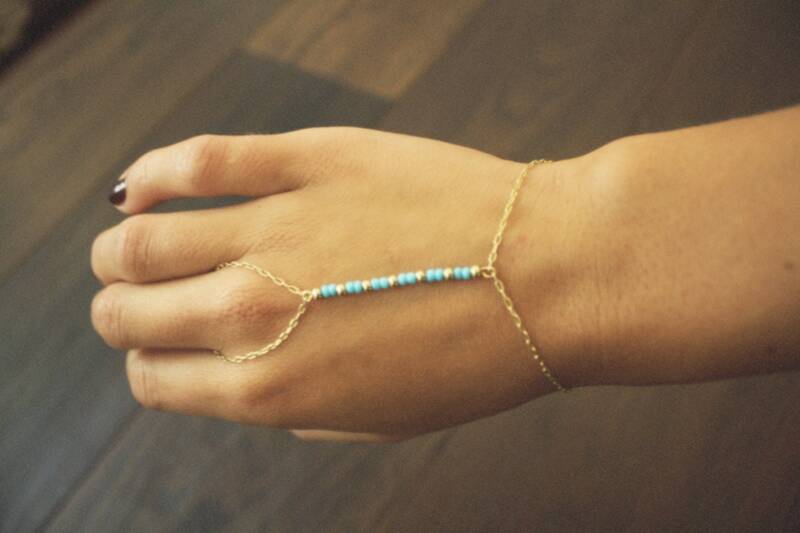 What is your favourite piece from Promised Land Jewelry? I'm loving the Isis necklace in gold and the Cleopatra bracelet in silver with turquoise! So pretty. I like the isis fringe necklace in gold. They are some really cute designs! 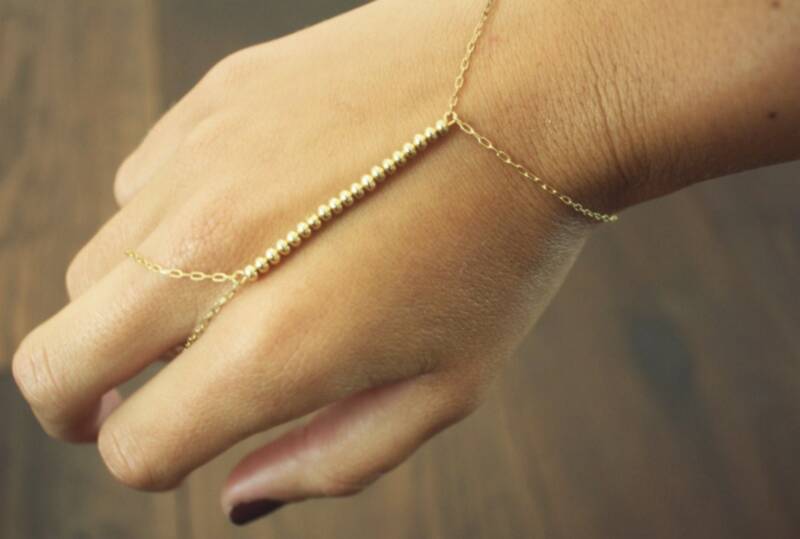 i love how dainty and pretty are these pieces! great find! oh my goodness! what a beautiful shop~! !